LIVE at Cherry Bar – AC/DC Lane, Melbourne. The mob is crushing, it’s almost suffocating. There’s an underlying thread of unease crawling along the walls and rafters making everyone a little restless. West Thebarton push their way through to the stage that they barely all fit. The crowd is tight with tension, ready to snap at any moment. It feels dark and dangerous, like we’re a part of something we maybe shouldn’t be, but then the guitars begin to whine, and the sermon begins to howls of jubilation. It is deafening. Five powerful guitars rebound off the walls and bodies slam each other. A frantic energy stirs, as though it is their first and last performance. The pit rises and falls to ‘Bible Camp’ with clenched fists and wild smiles, singing a stun gun lullaby back to the band.They punch us with four new songs that are fast and riotous loaded with romanticised lyrical work that has become a trademark for their music. So perfectly crafted are they, that they could be mistaken for lesser known tracks off their superb debut ‘Different Beings Being Different’. They’ll punch you in the guts with their instruments but soothe your aching heart with what they say in between punches. In the thudding mosh pit in the bowels of Cherry Bar, I found myself praying at the altar of Reverend Ray. He snarls and growls like Bruce Springsteen, chaotic and untamed, and the air is thick with sweat and spit and beer. The whole night feels like a juxtaposition. While the music is belligerent, and the band deliver like they’re possessed, there is joy and laughter all around. A crowd surfer takes a dive onto the stage and cracks his head so hard the band stop midway through a song to make sure he’s alright. A woozy smile adorns his face but he’s back in the crowd before you can blink. We’re all chastised by Ray to take care of each other, but there’s a grin attached to that warning and we’re tossed back into the sea of guitars and drums. There’s no reprieve, there’s no time to catch your breath. ‘Do You Believe’, ‘Gough’, ‘Set It Straight’- West Thebarton hurl song after song into the crowd and we desperately try to keep our heads above water. It’s raw and scorching and stunningly sincere. The camaraderie melts into the mosh pit as we all kneel in prayer before Reverend Ray, waiting for his signal. He gives it, and everyone is up jumping, screaming and laughing to ‘Moving Out’. It’s an animalistic exaltation, glasses smash on the ground and a cackle crawls its way out of my throat as I dance. Their album is phenomenal, their live show is better. 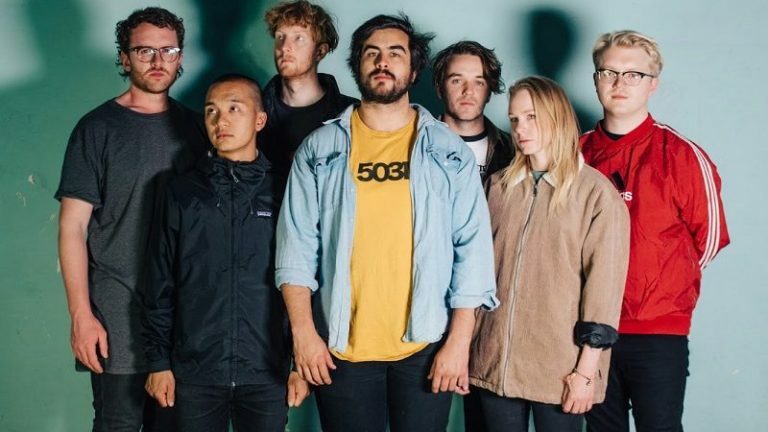 There’s nothing else to say, West Thebarton are the best band in Australia right now.